Turkey Coloring Pages, Fun Trivia, Turkey Crafts and More! Turkey coloring pages are fun activities for kids! Cute images were designed, specifically, for this website. You won't find these turkey images anywhere else! This website is a fun place for kids and adults. So, I've dedicated an entire section just for FREE coloring sheets! In addition, learn how to draw a turkey and discover creative turkey crafts for kids! Find fun trivia and tips for raising turkeys! These turkey coloring pages can be gifts from the heart. Hang them around the house or frame them. Give them as gifts. Add decoration with glitter, sequence, beads, ribbons, feathers or other items. 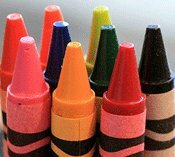 Kids can be proud of their colorful, artistic, creation! Print these cute images, now! - Sometimes turkeys sleep in trees. - Wild turkeys can fly up to 55 mph. - Wild turkeys can run up to 25 mph. - Adult male turkeys are called “toms”. - Adult female turkeys are called “hens”. - A group of turkeys is called a “flock” or “rafter”. - The largest turkey ever weighed was 86 pounds. - An adult wild turkey has approx. 5, 500 feathers. 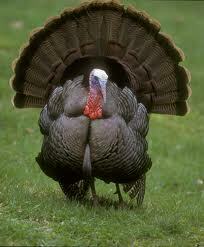 - The wild turkey gobble can be heard up to 1 mile. - Wild turkeys have good day vision but poor at night. - Turkeys can be playful. An apple can be played like a football in a group of turkeys. HAND PRINT TURKEY: Draw a turkey by tracing your hand. The thumb is the neck and head of the turkey, the palm is the body and the fingers are the feathers. Draw your left and right hands together, for two turkeys facing each other. Draw stick legs, use glue toothpicks or pipe cleaners. 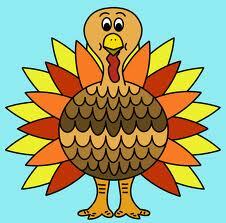 Color your turkey, decorate with beads, sequence or ribbons, feathers, etc... Be creative with your design! TURKEY GAMES and CRAFTS AT AMAZON!